Science and Spirituality take different routes to understanding the Truth. In its quest to understand the Universe Science has sought to go all the way back to when matter was created at the moment of creation of the universe, namely the Big Bang. Spirituality on the other hand is concerned with the basic question, “Who am I?” and “Where did I come from?,” going back all the way to the time of creation of universe and from then on. The enquiry into the moment of Creation is what creates the convergence point of Science and Spirituality. The news of finding the imprint of the God particle has been so thrilling that it has created a new buzz around particle physics. The naming of the God particle is a quirk of fate. The story goes that the Nobel laureate physicist Leon Lederman while, writing about this elusive particle, was so exasperated that he wrote it down as ‘Goddamn particle’. The editor toned down the exasperation and changed it to ‘God particle’. And that is how it came to be called in common parlance. Formally, the scientists call it the Higgs Boson particle. It was Prof Peter Higgs who had first proposed that such a particle should be existing to create mass in Creation. The Boson comes from the name of the Indian Scientist Satyendra Nath Bose, in recognition of his contribution. In the finding of the imprint of this particle now, it is this earlier postulate of Prof Higgs that is being scientifically alluded to. It is interesting to note that this sequence of scientific postulate being placed in a scientific paper and the actual discovery happening much later, has been one of the features of advancement of science. For Instance, before the planet Neptune was physically observed in the skies, it was mathematically calculated in a scientific paper, that such a planet should exist because of the gravitation tug of planet Uranus. 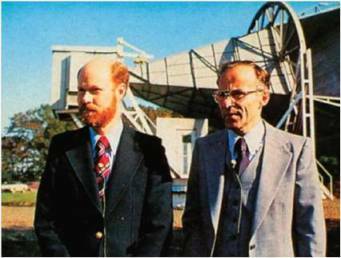 Similarly, the Russian scientist George Gamow had postulated the existence of Cosmic Micro Wave Background Radiation (CMBR) which was later recorded by the two scientists Arno Penzias and Robert Wilson. Is it really the God Particle? In the case of the God Particle, this particle has been elusive for, it self-destructs itself after one trillionth of a second after coming into existence. In this brief existence, it helps the other particles create the mass that this universe is made of. Which is why, an understanding of this particle is considered a major scientific breakthrough in understanding the universe. If it were really a God particle as touted in common parlance, why should it self destruct itself within a flash of a moment of its creation? A God particle should exist from before the Creation, to after dissolution of the Universe and not be in existence for just a fleeting moment. Calling it a God particle would not be apt. Anyway, let us see, what the Higgs Boson Particle exists for? 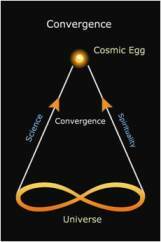 The Universe came into existence from the Cosmic Egg after the Big Bang, the Cosmic Egg’s dimension being just a point. How could such an infinitely small speck create this infinitely huge universe with all its mass? It needs a trigger. The search for this trigger is the search for this elusive Higgs Boson Particle. Since life of this particle is only one trillionth of a second, it is not possible to capture the particle. 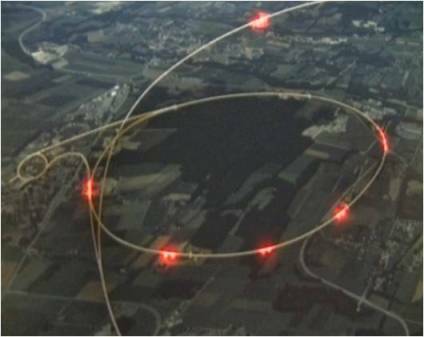 What is possible through the advance scientific practices at CERN and other scientific establishments is to get a glimpse of an imprint of this Higgs Boson Particle. 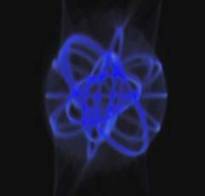 Getting a glimpse of this imprint is a major breakthrough in itself. This Higgs Boson adds mass only when three quark particles get together. 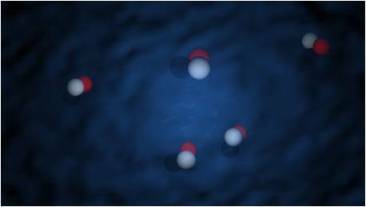 Just two are not found to form a stable proton with mass. These three quarks that group together are said to possess different colours. The term colour has been used by the physicists to denote that they possess distinct traits, qualities, characteristics. Like this there are many interesting parallels between the Indian knowledge system and the modern research of Creation of the Universe carried out at CERN. In the Indian knowledge system, the Cosmic Egg is known as Hiranyagarbha, meaning “a golden hued womb” and the Big Bang is expressed as Brahmanda Visphotak, Universal explosion. The Cosmic Soup has been described as one in which the sub atomic particles such as quarks and gluons are floating freely without the influence of any force upon them until the presence of a God particle, Higgs Boson creates an energy field in which they interact and gain mass. In the Indian traditional Narayana is depicted as resting calmly in the Primordial Waters similar to the state of inertness and equilibrium as found in the cosmic soup before the presence of God particle. Narayana is symbolically depicted with a consort, Lakshmi, who arises from the same primordial waters. Lakshmi denotes the source of all matter and material wealth and is the bi product of the churning of these primordial waters. We see here a striking similarity in the way the early stage of universe transmutes from an inert state to a material form, the difference being in the styles of expression. The concept of Cosmic Microwave Background (CMBR) is akin to the OM which pervades through the Universe. There are numerous parallels between modern science and ancient traditional Indian knowledge system. 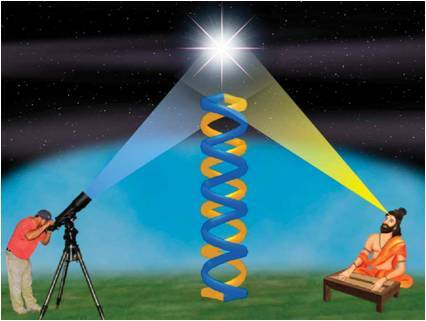 In fact, the Indian knowledge systems offer deeper insights into aspects of Creation going to stages even before the Big Bang and into the process of creation of matter. 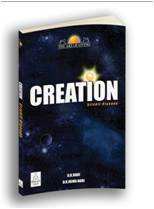 All this has been discussed in detail in our book and film, Creation – Srishti Vigyana. One of the senior physicists of CERN Geneva, Dr. Archana Sharma, the only Indian, permanent scientist member in CERN, found the parallels interesting enough to come to Bangalore, India and make a significant contribution to the documentary film made by Art of Living and Bharath Gyan. The finding of God Particle at CERN has triggered a spate of discussions on the convergence of science and spirituality in recent times. In India, what is interesting to note is that each time there is a breakthrough in science, people see parallels in traditional Indian thought which goes back well over 7000 years of knowledge compilation. Some recognize the convergence of the two at every stage. It is pertinent to ask, “Why is it that every time a new discovery in the frontiers of science is made, there is already a pre-existing parallel opinion in the Indian thought that is uncovered? If such a match is being found on every such occasion, which has been the case so far, then why can not the people working in the frontiers of science draw inspiration from this vast ancient Indian body of knowledge to cross the bridge from gross to subtle and merge both aspects that parallely exist in this universe?”. As we take this crucial step forward, it will be a proud, synergized march of human civilization and science, hand in hand. Thank you Dr Hari and Dr Hema for this amazing piece. It gives so many new insights for understanding the God Particle which non scientists like me can understand! Thank you for bringing the ancient knowledge system into play with this topic. The Higgs Boson celebration seems to be a kind of culmination point party of the one dimensional thinking modern science still prefers mostly to be attached to. I think the step into a more holistic approach is not only about refining views with contemplative methods and corresponding knowledge traditions but also about building responsibility. Without responsiblity what sense would there be to give scientists knowledge about the moolaprakriti, the tattvas etc.? It must be handled in the proper way. Thank you very much for this. Re-reading this gives lots of information and understanding the God Particle. Hats off to Dr.Hariji and Dr.Hemaji. Beautifully explained ! This is also explained by the Nasadiya Suktam in the Rig Veda. you made it better clear. thanks. veda is truth. nothing error in it, hence nobody can prove it is false. Please use the opportunity to define Cosmology-origins- Vedas promote interaction: Base concepts -must link to Source, Fields, Flows, Reflectors and protective index. we live under Shaded universe..
Prime Concepts include Cosmology Definition,cosmic function of the universe-multi-Universe etc.Dimensional frames beyond milkyway galaxy. Save Earth Planet and Life support-Enlightened Wisdom.